A pigment close to your natural hair color is chosen and tattooed onto your brow area to create symmetry and balance, or to create an arch that would “brighten up” the appearance of your eyes, or to create realistic eyebrows simulating hair strokes to give the effect of three dimensionality. These simulated hair strokes will fill sparse brows or create brows where there is none. We offer a variety of permanent brow techniques to fit your personal style. Who benefits from Permanent Eyebrows? 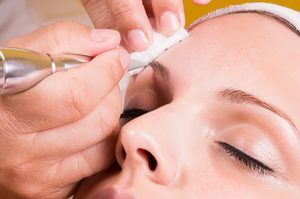 Shelly at Permanent Cosmetics of Utah offers Permanent Eyebrow, Eyeliner, and Lips Makeup to Salt lake City, Bluffdale, Draper, South Jordan, West Jordan, Kearns, Sandy, Lehi, Provo, Saratoga Springs, Eagle Mountains and all over the Wasatch Valley.